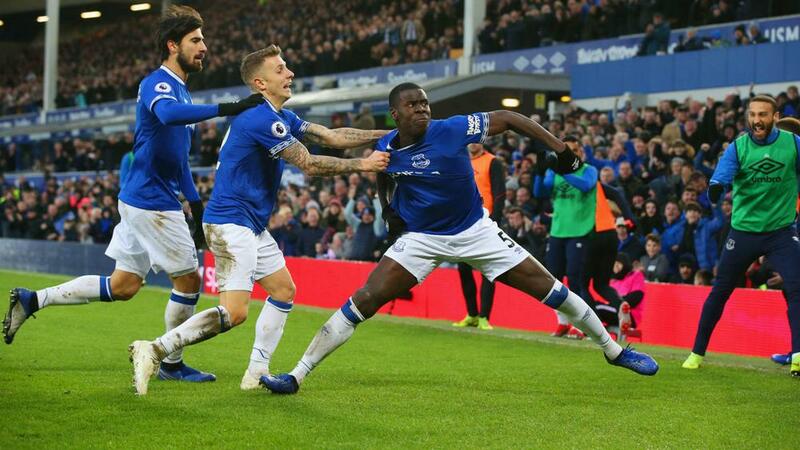 Everton moved into the top half of the Premier League after goals from Kurt Zouma and Dominic Calvert-Lewin sealed a 2-0 victory over Bournemouth on Sunday. Majority shareholder Farhad Moshiri said in midweek that Everton being 11th in the Premier League "is just not good enough" and Zouma's 61st-minute header got them going in the right direction at Goodison Park. Substitute Calvert-Lewin struck deep into second-half stoppage time for a result that may help ease the pressure on boss Marco Silva, who was backed by Moshiri despite a run of four defeats in five matches. Wolves could send the Toffees back into the bottom half by beating Manchester City on Monday, while Bournemouth have now been victorious only once in their past seven top-flight outings.